We evaluated more than 20 of the top river cruises and found three top choices based on luxury experience and customer service, cost, destinations, themes, itineraries, food and amenities and more. Tauck River Cruises provides all-inclusive river tour options for people who want to take the hassle out of planning a grand tour on some of the most famous waterways in the world. 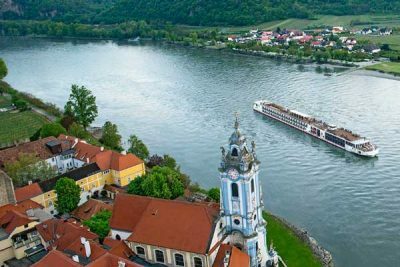 Viking River Cruises is one of the first river cruise lines to help set the river cruising standard. Viking River Cruises start off at around $1,800 and are great for people who want a large selection of destinations to choose from. Crystal Cruises is known for its luxury in river cruising with all-inclusive features like in-suite butler service and unlimited room service and beverages. Starting at around $2,665, Crystal Cruises is best for those looking for a luxurious cruise on the Danube or Rhine River. Uniworld offers boutique river cruise experiences. Uniworld’s boats are designed to capture a certain regal old-world, European luxury. Its cruises start around $2,500 and are best for those looking for a river cruise in Central Europe. We evaluated more than 20 of the top river cruise lines and found three top choices based on luxury experience and customer service, cost, destinations, themes, itineraries, food and amenities, as well as real-world ratings from travel experts and consumers alike. The companies that ranked highest are Viking Cruise Lines, Uniworld and Crystal Cruises. This guide provides an overview of river cruising, including what’s important to look for in a river cruise, some typical costs and amenities for 2019, and how these three top companies operate and what makes them stand out. If you have questions, we have answers to some of the most frequently asked questions about choosing a river cruise. River cruises have steadily gained popularity in recent years. Compared to the typical large-ship cruise experience, river cruising is more intimate and easier on your sea legs. With less time spent on the water and an up-close-and-personal view of the local scenery, river cruiser travelers are encouraged to delve into the local culture and history. The experience lends itself to themes, and cruise lines are happy to oblige. Interested in cheese making, Jewish writers, a floating paint workshop, or touring medieval villages while experiencing the Passion Play? There’s likely a cruise for that. You can even take one of many Christmas cruises with excursions focused on holiday shopping. Most river cruises are selected based on their destination, theme or level of luxury. Learn what distinguishes the cruise packages you consider. Most river cruises are all-inclusive but pay attention to the details on things like alcohol, excursions and additional travel fees. While the cruise is the destination, pay attention to the travel experience and policies for getting to and from the boat. A river cruise is just what it sounds like, a smaller-scale cruise along inland waterways throughout Europe, Russia, Egypt, China, Vietnam and many other locations. Sailing along narrow waterways means stopping at more destinations than you would on a typical ocean cruise, with easier docking and more picturesque shoreline views along the way. River cruises can be a great way to cover a lot of ground in Europe and Asia. If you prefer to stay closer to home, there are abundant offerings for U.S. river cruises along the Mississippi, Columbia and Snake Rivers in Oregon and Washington, and Alaskan river cruises. What has propelled the boom in river cruises are the unique cultural, historical and culinary themes offered by many river cruise lines. Some river cruises focus on wine or art from a region, others on cooking or cultural lessons. River cruise boats are restricted to a certain size to accommodate narrow water passages. Stateroom dimensions will be similar from line to line, and onboard amenities are scarce. For these and other reasons, the most critical factor in selecting a river cruise is determining where you want to go. Lesson River cruises tend to have similar onboard amenities, so focus on exciting destinations or themes when choosing. Once you have a destination in mind, it’s all about the details. From priceless art and luxury interiors to interesting themes to culinary expectations, finding the best river cruise is all about identifying what’s most important to you as a traveler. If climbing stairs are difficult for you or you have a disability, it is essential that you discuss accommodations while onboard and at ports of call with the river cruise company. The Americans with Disabilities Act (ADA) does not apply to river cruise ships nor are those regulations followed outside of the U.S.
River cruises are typically all-inclusive, meaning Wi-Fi is usually free, along with regular meals and sometimes alcohol. How much and the type of alcohol and the times of day or night served may depend on the details of your booking. If drinks are an expected part of your vacation, make sure your upfront fee includes unlimited, premium alcohol. Your river cruise package price may or may not include tips, so be sure to confirm the tipping policy before going on board. Look for hidden fees. Prices often include only the cost of the cruise, and things like airfare, taxes, port fees and other charges may be separate. River cruises tend to be booked well in advance. If you are planning a trip for next summer, a good time to book is in the fall when the most deals are to be found, according to travel experts. On the other hand, some cruises may offer last-minute deals closer to the booking cut off. A travel agent may help you find the best price, or you could contact each cruise line directly for help. River cruises aren’t for the budget traveler. It’s a sound financial practice to protect the amount you’ve paid for your trip with travel insurance to cover trip cancellations for any reason, delays, lost luggage, illness or injury while traveling and more. You will pay from $120 to $250 for travel insurance, depending on your age and the trip being insured. It is recommended that you check with your credit card company to see if they include travel insurance as a perk. For a sense of how much a river cruise might cost, here is a comparison of costs for a typical six- to eight-day cruise on Europe’s Danube River, which is an excellent choice for first-time river cruisers. Unique Features In-suite butler service. Cultural Curriculum®, Viking’s proprietary educational itinerary service. Butler service. Prices Start At $3,599 per person, with an early booking discount of 10 percent. $1,999 per person, plus some available limited-time offers on travel to the port city. $3,665 per person, with some possible ways to save. River cruises aren’t for the budget traveler. It’s a sound financial practice to protect the amount you’ve paid for your trip with travel insurance to cover trip cancellations for any reason, delays, lost luggage, illness or injury while traveling and more. You will pay from $120 to $250 for travel insurance, depending on your age and the trip being insured. Consumer Reports recommends checking with your credit card company to see if they include travel insurance as a perk. River cruises are mostly offered in Central Europe, Asia, Russia, India, Egypt and Italy due to their vast network of wide rivers. The Danube and Rhine Rivers are two of the most popular river cruise destinations available. Each river cruise package typically comes with multiple on-shore destinations as you travel down the river. If you’re traveling down the Danube, for example, you’ll hit the busy ports of Vienna and Budapest. If you’re cruising down the Rhine River, you’ll likely have the option to explore cities and villages in places like Belgium, Netherlands and Switzerland. Ask about curated on-shore excursions included in your package so you can take advantage of guided tours and browse the company’s social media for excursion deals. A consistent pain point in customer reviews of river cruise lines involves travel to and from the ship, which for travelers can be a stressful aspect of a trip. Common complaints include air travel that’s either difficult to book, inconvenient, poorly managed or not available around the travel dates. Manage your flights online. Pick your seats early and check in frequently before your travel date to make sure nothing has changed. Depending on how close the airport is to your ship’s port, you might consider taking an Uber or a Lyft from the airport to your port location or hotel if you’re staying in one the night before. This saves on not only car rental costs but parking costs while you’re on your cruise. 1.We searched for the top river cruises from an extensive list of more than 20 luxury river cruise lines. 2. We evaluated more than eight premium river cruise lines based on our expert-guided buying criteria: destinations and itineraries, service, food and accommodations, and more. 3. We provided you the best three river cruises for first-timers. We began our search with 20 river cruise companies. These companies offer river cruise packages around the world and each package offers different features, amenities and entertainment. We analyzed river cruise companies based on well-known travel review sites. We found and removed companies with an excessive amount of negative reviews. For example, river cruise companies that chartered ships rather than use their own fleet were cut. We delivered the best river cruise companies so you can start planning your trip. Part of the fastest growing segment in the cruising, river cruise lines have been popping up all over the place these days. There are more than 20 river cruise providers around the globe, and a little less than half of those could be considered premium or luxury standouts. From there, we did the hard work for you, with an in-depth look at some of the most popular river cruises available. After our evaluation, we chose the three best river cruise lines: Viking River Cruises, Crystal Cruises and Uniworld. With multiple ships, destination countries and themed adventures, these three lines stood out for their enrichment, culinary expertise and high-touch service. Getting its start in 1997, Viking River Cruises was among the first lines to set the standard for river cruising. The company has since built a strong reputation along with a large fleet of river-sailing longships, serving plenty of dates and destinations along the rivers of Europe, Russia, China, Egypt and Southeast Asia. The longships are made to be space-efficient and modern in design, accommodating 190 guests without feeling cramped. Viking River Cruises start off at around $1,800 for 2019 and serve so many destinations throughout the year that new river cruise customers favor this company. If you are looking for an excursion with cultural and historical experiences, Viking has a proprietary Culture Curriculum featuring showcases for musicians and dancers, lectures and intellectual talks, or cooking lessons in the cuisine of the region, and other added onboard enrichment sessions. Onshore walking tours, lectures and experiences are also offered, although may come with an additional fee. Viking River Cruises rate a 4.8 on a five-star scale. We found some complaints about spotty Wi-Fi access, small rooms and the crew being very busy. However, the overall opinion is that Viking offers quality excursions and the staff is very accommodating. A big name in ocean cruising, Crystal Cruises went into river cruises with the Crystal Mozart in 2016. It is now among the most luxurious river cruise lines around, with sleekly designed, well-apportioned cabins, cultural and educational itineraries and attention to detail in all aspects of its service. The line’s premium all-inclusive features include in-suite butler service, unlimited room service and beverages. The majority of Crystal River Cruise reviews have to do with food. Crystal River Cruise is known for its Michelin Star-level dining options and bringing the best ingredients to the plate and pairing them perfectly with wine and beer selections. The Crystal River culinary experience is a casual elegant dress code and promises expert, lavish presentations of cuisine prepared by European sourced and trained chefs and hotel staff. Dining is open seating, served at multiple venues, including an elegant dining room and several more intimate areas. A la carte offerings and buffet breakfasts are also available. Crystal Cruises start at around $2,665 for 2019. Customer reviews come in at four out of five stars. Some customers noted that their cruise was understaffed, causing a longer-than-expected wait for food and beverages. Some said that the ship’s systems required repairs during their journey, but the maintenance personnel cleared up problems quickly. Most enjoyed the entertainment provided. 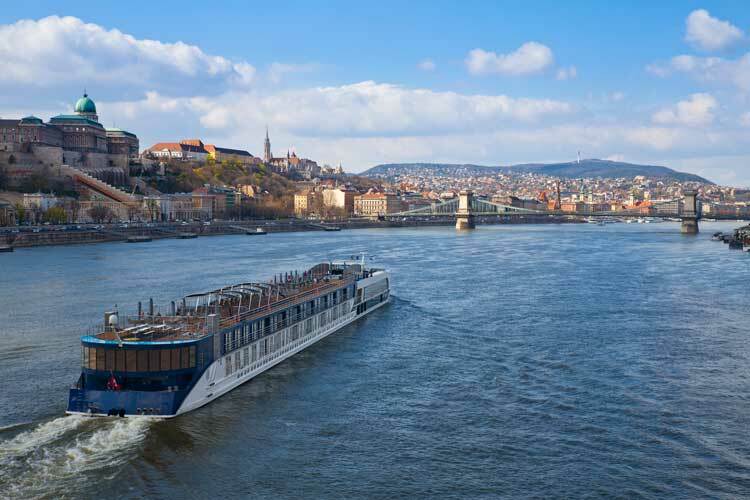 Uniworld offers boutique river cruise experiences. Its boats are designed to capture a certain regal old-world, European opulence. While the interiors create a unique ambience that may not be to everyone’s taste, it’s hard to argue when the attention to detail is on point. With art and design on display everywhere, Uniworld’s staff is trained to deliver service that is just as elegant. The line’s newest riverboat, the large S.S. Joie de Vivre, is so enormous that it’s called a super ship, and includes a pool. There is also a supper club and live music late at night. Themed cruises include holiday excursions such as Classic Christmas Markets, as well as cultural trips exploring Jewish Heritage and Jewish-Hebrew writers. Uniworld’s cruises start at around $2,500 for 2019. Customer reviews average out to 4.7 stars out of 5, with five-star ratings far outnumbering lower scores. 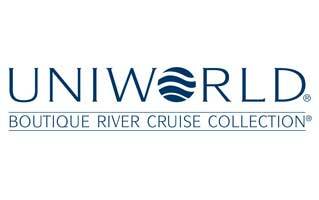 Most complaints revolve around customers expecting all river ships to be roughly the same age, but Uniworld has been adding to its fleet for years. Customers noted all ships were very clean whether they were new or in commission for several years. 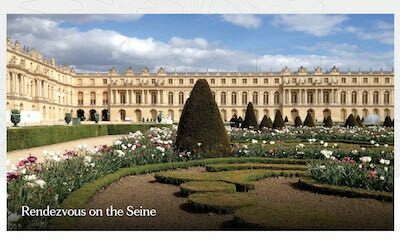 Tourists can explore Europe in luxury with Tauck River Cruises and European tours. Tauck offers more than 150 tour options across Europe, including European land tours and European river cruises. The Tauck staff strives to provide fun, memorable trips, and excursions include educational elements and unique shopping opportunities. Tour costs for Tauck start at $3,000 per person for standard cruise options. Founded in 1925, Tauck initially offered guided tours of New England. In 1992, Tauck partnered with Scylla, a highly rated river tour company, to offer river cruises on the Danube, Douro, Moselle, Rhine, Rhône, Saône and Seine in Europe. Today, Tauck offers 15 river cruise destinations, with more than 100 tour options. To learn more about Tauck and their many tour option, read our full review. It’s a form of leisure boat travel along inland waterways most popularly along the world’s major rivers, including the Mississippi, Danube, Rhine, Volga and Yangtze. River cruise boats are smaller than ocean liners to maneuver smaller waterways and can carry up to 250 guests. This reduced capacity makes the whole experience of river cruising more intimate than typical ocean cruising. Are river ships different from other cruise ships? River ships are much smaller in size compared to giant ocean liners, so they cater to fewer guests. It is easier to get to know some of the other travelers on a river ship. Also, because rivers are shallow, river cruises tend to be smoother sailing than ocean liners. How long does a typical river cruise last? River cruises are typically just over a week in length and include several port stops during each passage. Instead of spending many days at sea, you will spend less time sailing on a river cruise and can expect to awaken each day in a new port. What are some amenities found on river cruises? Ocean liners often sail with amenities such as pools, fitness centers, casinos, entertainment venues and so on. River ships tend to have fewer onboard amenities and instead offer educational, cultural or culinary experiences to keep things lively on board. What can I expect a river cruise to include? While cruise line offerings vary, many river cruises are all-inclusive, meaning the upfront price covers things like alcohol, Wi-Fi, excursions, etc. What’s the best season for a river cruise? Generally, the season runs from April to October, but most travel experts recommend May and June for river cruises. In the cooler months, you may find an offseason river cruise touring emptier and quieter destinations, and there are plenty of festive holiday cruises to be found in the winter time. Whatever the season, inland water levels can impact cruise schedules and itineraries. What should I pack for a river cruise? You can get a sense of what conditions will be like at each destination, but given the unpredictability of the weather and the chilly winds on rivers, travel experts recommend packing both warm and light clothing. Favor layers even in warm weather conditions, and that includes hats, sunglasses and other sun protection. One or two sports coats, dresses, dress pants and blouses or pantsuits will also come in handy for special dinners or occasions. Most importantly, you will need a pair of sturdy, comfortable shoes that will stand up to a variety of conditions. Again, given the limited space on the ship, it’s recommended to pack light. What type of person enjoys a river cruise? With less risk of seasickness, a river cruise is an excellent introduction for first-time cruisers. But anyone looking for an intimate travel experience could enjoy a river cruise. They are great for history lovers, those who want to feel closer to the culture of the destination, or those who wish to see its scenery and bridges up close. Baby boomers tend to be avid river cruisers. Gratuity policies may vary depending on your package. Before boarding, confirm whether tipping for the ship’s staff, crew and your onshore tour guides is included in your cruise fare. River cruising is a great option for culture-hungry travelers. Pay attention to the travel package details to get the best value for your money. 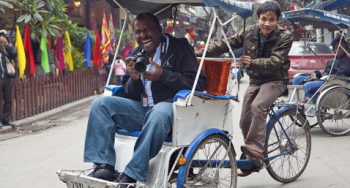 River cruise lines make researching their adventures fun, with video tours and details to suit the needs of many different types of travelers. Our three river cruise lines, for example, have well over 100 river ships between them and offer destinations around the globe. Consumers who dive into this research and understand the details of the packages they consider will get the most out of the experience. It also helps to get input from friends, family and acquaintances who have taken part in a river cruise experience. Look for feedback on travel websites and customer review forums. Finally, working with a travel agent can help you understand your options, and get you started on the voyage that’s right for you.